It’s nice they redid this and came up with some new features, but what handcuffed the original version is exactly what makes this version just more of the same. Skill/ability does not factor in this game as much as it should. 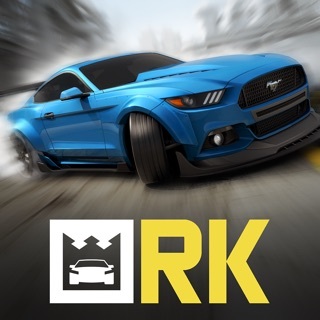 If you aren’t going to buy your way into qualified vehicles/upgrades, your forced to replay the sales levels over and over again inching slightly farther than your last dozen attempts as you inch your way up the upgrade ranks to finally beat the levels. 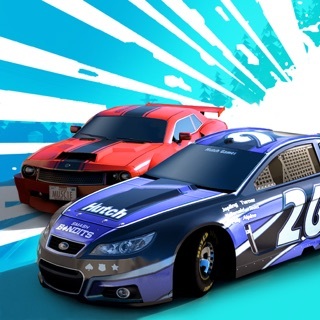 You can’t beat the higher up levels unless you upgrade the vehicles to comparable levels which take skill and ability out of the equation, so your forced to replay the same track over and over and over again nickel and diming your way through the upgrade component to finally complete the track. It’s the same problem that existed with the first game only now there’s more chances to spend your real money with a multiplayer component, but even with that it’s the dreaded fuel usage issues with games that require you to either pay for fuel just to play, or wait 2 hours for your fuel to refill to race one more time. A lot of potential, just not executed with the player in mind. I play the original version of this game and feel as though it may still be superior to the second installment due to the fact that upgrading vehicle types to their next tier are now a chance game. Where as before it came down to how much did you want to play. The micro transactions were still there if you did not want to grind out the time ( which I did in some cases) but honestly this new version feels like a greedy cash grab over the quality of gameplay I’ve come to love from this developer. Can it be fixed? Probably, will they? Who knows, the game potential is there, but we’ll just have to see where the game direction ends up. Update: sadly the game did not live up to its predecessor. It’s all mostly locked away behind pay walls and chance. I had such high hopes for this game and even reached out to the developer trying to understand why they would willingly ruin such a great IP. 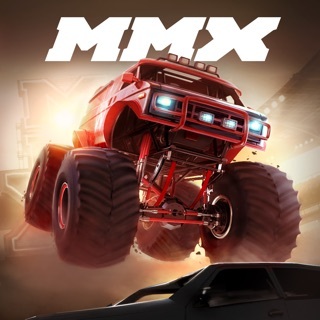 Unfortunately all I got back was some lame excuse of player choice and “new and interesting dynamics” which really translates to “ the first was so great and we made lots of money, we just want more!” I’ve since deleted the app with much regret and disappointment in what’s become MMX. Better luck next time and hopefully they learn from their mistakes. i was playing Hill Climb Racing 2, until this game came out. awesome graphic, but the flipping of cars was horrible. It was the same in Hill Climb Racer 2 until I upgraded the cars. i figured it would be the same in this game. Not true. I have my monster truck fully upgraded at the first level and now it is completely unplayable. all it does is want to do is wheelie and flip especially in the mud going uphill on course 7 after the jump. i actually try tapping repeatedly to get my speed up which semi works on pavement, but not at all in the mud. Now all I do is log in everyday to get the bonus event Highway Wealth to get my prestige currency, so I can upgrade to the Monster GT. This is just stupid. A fully upgraded vehicle should not flip hitting the gas. It would be an awesome game if you fixed you’re physics and added more content. i have exactly 8 courses unlocked and only the starting micro vehicle, and the monster truck. So lame and boring!!! if you could combine the gameplay, content, and physics of Hill Climb Racer 2 with the graphics of this game, it would be an absolutely awesome game. Please hire their programmers. I want that end product and would then pay money for your IAPs.